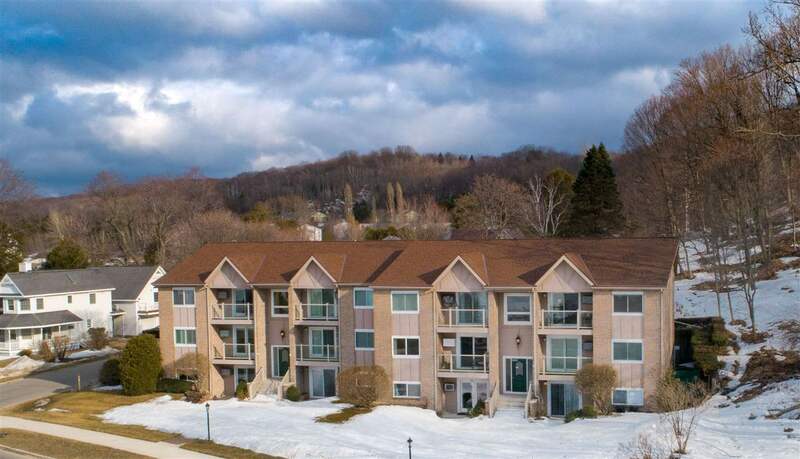 Desirable in-town condo with Fantastic views of Little Traverse Bay!! Enjoy beautiful sunsets from the front balcony and morning sunshine from the back balcony. Open floor plan, a very efficient use of space with a nice-sized kitchen, completely renovated with new cabinets, appliances, beautiful granite, spacious counter tops, laundry area, master suite and 2nd ensuite. Very well maintained and nice color choices...ready to move in. Low dues and utilities make this very affordable way to enjoy this Unbeatable location across the street from the Little Traverse Wheel Way, walk to restaurants/shops, and easy access to marina!!! !